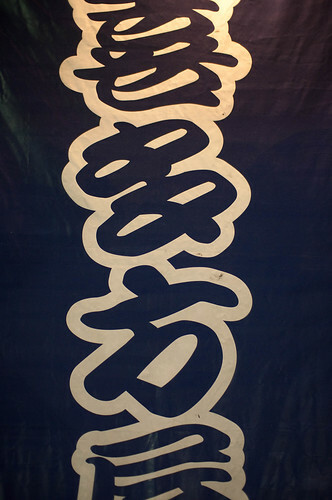 Kitakata is a city in the north of Fukushima prefecture. 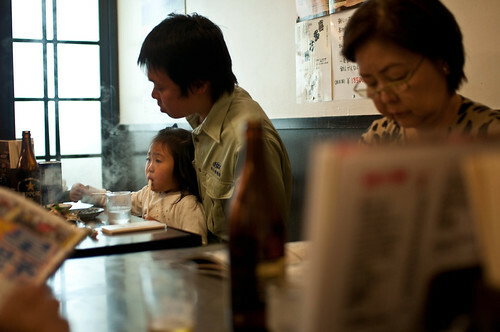 In recent days, the press coming from this region of Japan is, of course, non-stop. Usually, they say that any press is good press. 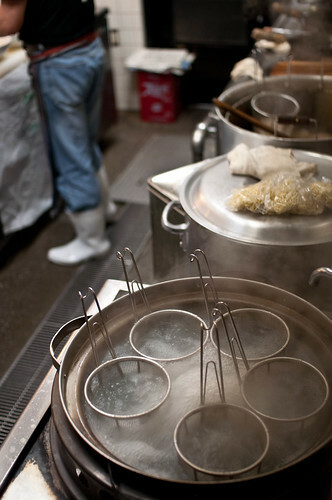 But in the case of local foods from near the Tohoku disaster area, it's going to be a bad year for business. Kitakataya uses many of these local ingredients, some of which have stopped coming in due to a sudden downturn in production. But just as the shelves of the supermarkets are slowly showing signs of bottled water, Kitakataya is doing ok. 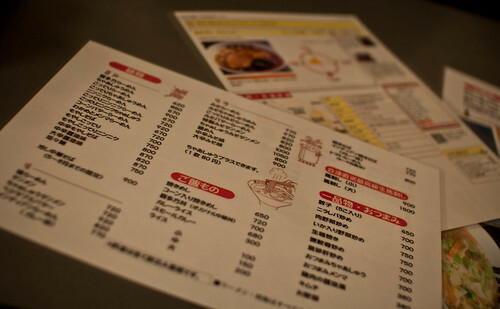 The menu at Kitakataya is large. 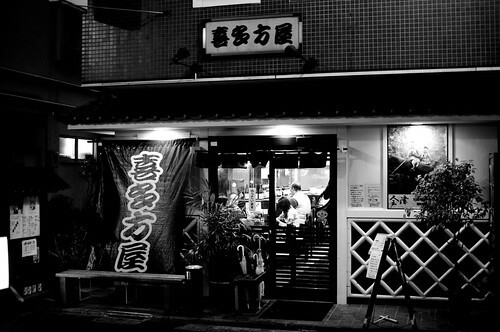 Although a ramen shop, it is also a local restaurant. Families from the neighborhood poured in for their evening dinner. Though I wouldn't expect a line here, a large group may have to wait a bit for a table. 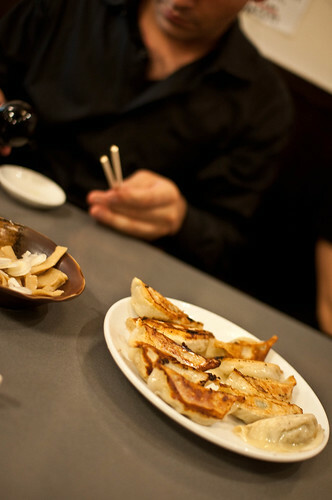 The gyoza and slices of chashu go great with the obligatory beer. 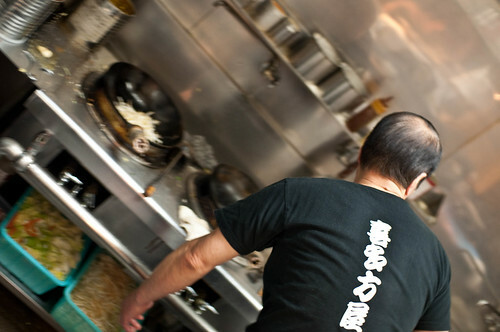 For those more adventurous, try some fresh basashi. It comes fresh from Kitakata, and the shop master, Saito-san, has actually had some trouble getting enough of it lately. 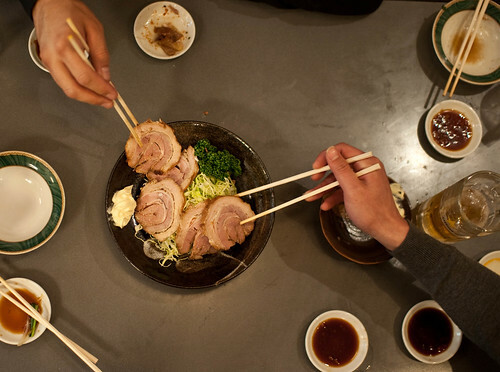 Kitakata basashi is much leaner and more tender than basashi from other parts of Japan. Some say it's the water. 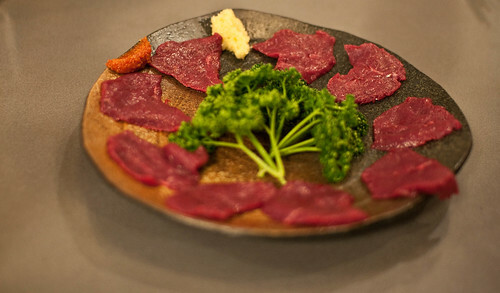 By the way, basashi is raw horse meat. It's really good. 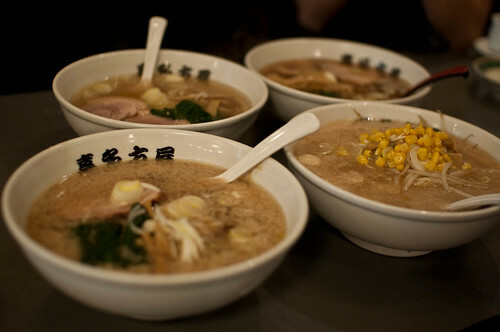 As is the ramen. 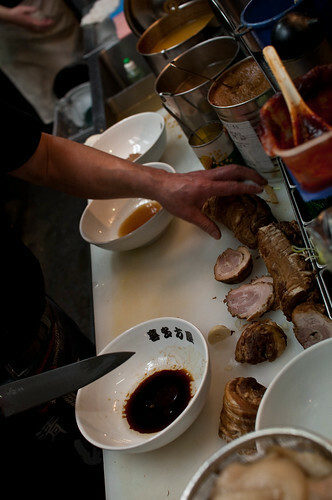 Much of the ingredients here are sourced locally from up north. 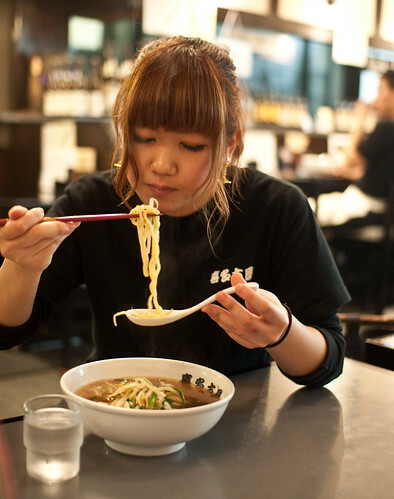 Kitakata noodles are known to be some of the best in Japan. 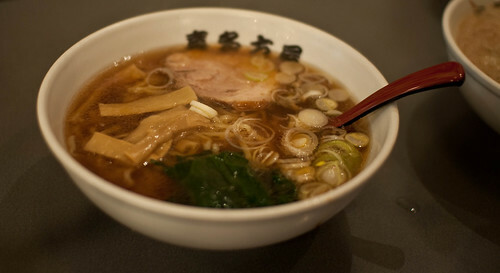 You can order a few different kinds, though I suggest the standard Kitakata Ramen or the Kotteri Ramen, which adds a bit of fat to the soup. 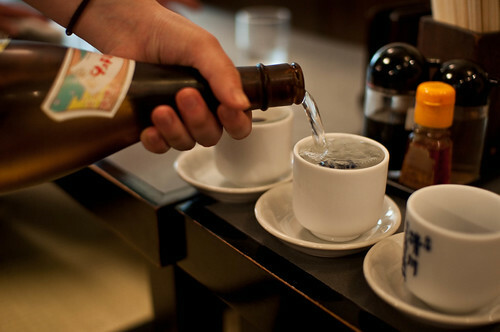 Another thing Kitakata is known for is Japanese sake. 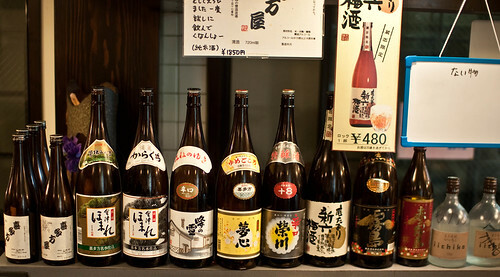 You can try a lot of Kitakata sake here. They tended to be a bit sweeter than, say Niigata sakes. 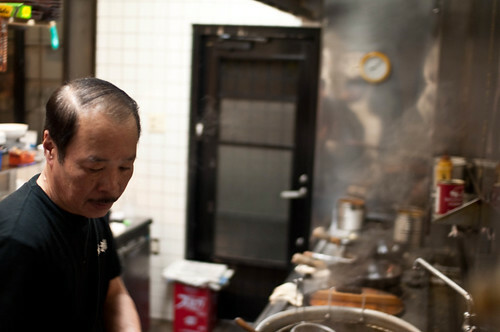 Working here for almost 30 years, Saito-san cooks almost everything himself. 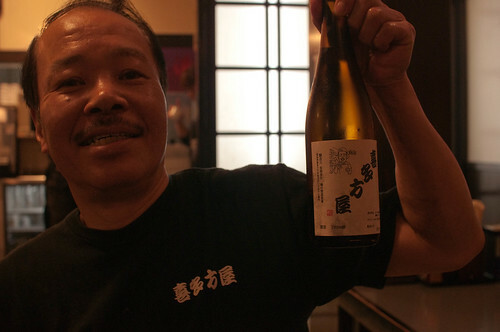 to pouring glasses of his own brand of sake.